Sudan offers travellers a truly memorable experience of its history, culture, landmarks and coastline. Populated by over 40 million people, it is the third-largest country in Africa. The sparkling coral treasures of the Red Sea coupled with archaeological wonders in the desert add to Sudan’s mysterious allure. Popular attractions include the Pyramids of Meroe and Dinder National Park. 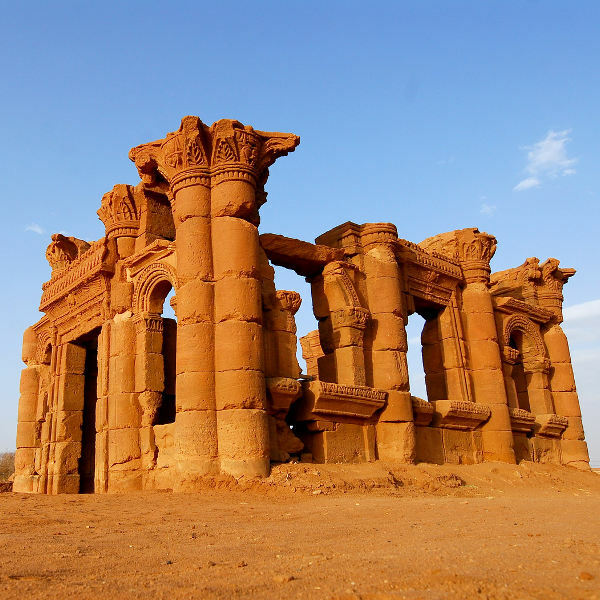 Unearth historical gems of antiquity because cheap flights to Sudan are now available! The country’s hub airport is Khartoum International Airport (KRT), a 20-minute drive from the city centre. Explore the glistening dunes by camel or jeep as you traverse the breathtaking landscapes. 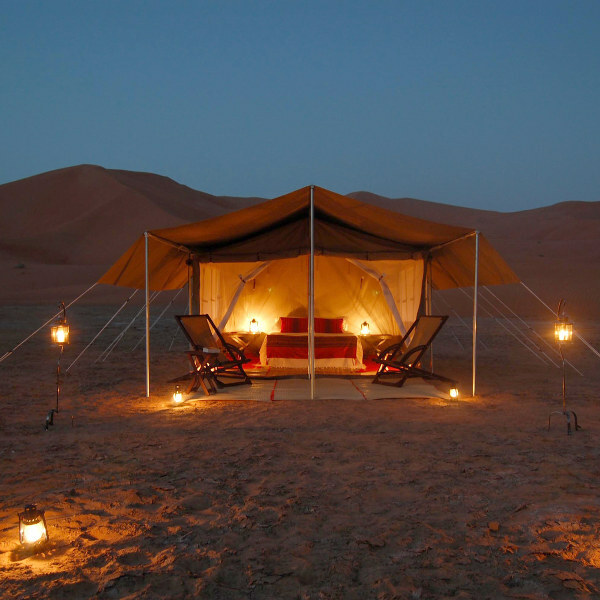 Pitch a tent and camp out under the stars as you are surrounded by nothing but the luminescent night sky. The base of numerous kingdoms and civilisations, including Kerma, Noba and Meroe, Sudan’s vast landscape houses a myriad of archaeological sites, tombs, pyramids and religious landmarks. 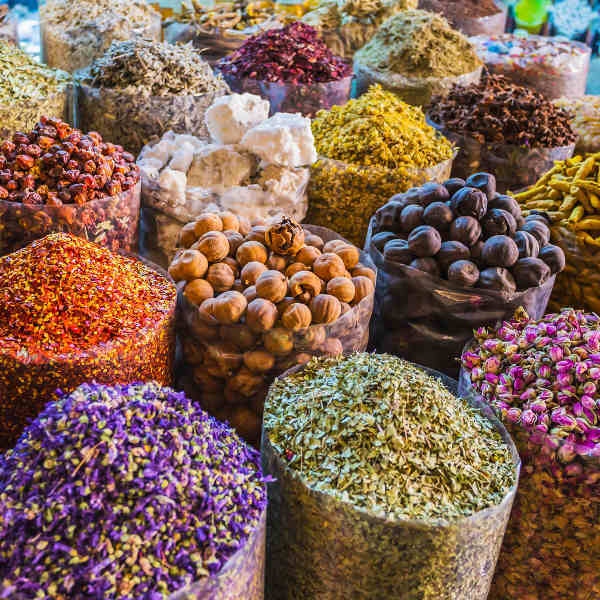 Bargain your way through the bustling souks where you can see the locals trading in anything from teapots to camels. Get swept up in the colourful dances of the dervishes, and taste the fusions of Middle Eastern and African flavours. Sudan experiences two seasons – hot and blisteringly hot. Travel is strongly discouraged between the summer months of April to October, when temperatures reach a searing 40°C! Rainfall is at its highest in summer as the Nile River fills its banks. Dust storms also occur around this time and many local tour operators cease trips until cooler weather sets in and roads are more manageable. The ‘winter’ period, between November and March, is a much more pleasant time to travel and explore the desert landscapes. Temperatures drop significantly at night and cold winds lend a welcoming chill to the air. Sudan (formerly North Sudan) is a culturally and historically diverse nation, offering the curious traveller insight into its ancient civilisations, national landmarks and beautiful coastline. The locals are very hospitable and gladly welcome you into their culture. Khartoum is the capital city and straddles the two strands of the Nile River. With its arabesque-designed buildings, tombs, Coptic churches and museums, Sudan’s history and culture permeates the city streets. Be sure to check out the National Museum, Khalifa’s House and Al-Kabir Mosque. Just north, Omdurman is home to some of the best marketplaces, notably the Souk Omdurman – the biggest market in Africa! See traditional Sufi dancing and whirling dervishes on Friday afternoons. Sudan’s archaeological treasures are spread throughout the country. The ruins of Old Dongola are a prominent archaeological site portraying the remains of a significant medieval Christian city. See the grand temple complex of Musawarat and uncover the 5000-year-old history of the ancient adobe worshipping houses in Kerma. The city of Wadi Halfa is situated on the banks of Lake Nubia and harbours ancient Nubian relics from the Middle Kingdom period. Sudan’s most iconic drawcard is at the epicentre of the ancient Napata Kingdom – the Pyramids of Meroe. Over 200 pyramid structures and ruins make up this UNESCO World Heritage Site. Aside from its fascinating historical structures, Sudan also boasts an incredible coastline and mountainous landscapes. The Jebel Marra volcanic mountains peak at over 3,000 metres and house the Deriba Crater. Hike up to the extinct volcanoes overlooking waterfalls, lakes and ethnic villages. The coastal cities of Port Sudan, Suakin and Arous Tourist Village are gateways to explore the Red Sea coastline, home to some incredible diving spots. Nature-lovers should visit Dinder National Park and Gemmeiza Tourist Village with flourishing birdlife and wildlife like elephants, rhinos, zebras and giraffes. Compare several airlines, and book your cheap flights to Sudan online at Travelstart! Sudan’s healthcare is fairly good at private clinics, should you require assistance. Malaria is rife throughout the country, particularly during the rainy season, so take the necessary precautions. Also, be on the lookout for scorpions, spiders and snakes in desert areas. It is a good idea to carry hand sanitizer with you as sanitation in some areas is non-existent. Only drink bottled water. If you are going on long trips using public transport, water purification tablets might be a more sustaining option. Sandstorms are common in desert areas, so be aware of weather conditions before going outside. Sudan is currently undergoing civil war and terrorist attacks in certain parts of the country, Travel is not recommended to Darfur and Southern Kordofan. Should you need to travel on business, consult your local embassy and keep abreast with political affairs. General vigilance is required as petty theft and muggings do occur, especially around busy marketplaces, bus terminals and cafés. Solo women travellers are quite safe, but avoid attracting unnecessary attention to yourself and avoid taking public transport alone. Respect the local customs and religious practices by not speaking directly to local Muslim women, avoiding certain hand gestures and dressing modestly. Alcohol and drugs are strictly forbidden and foreigners are subject to the same laws as the locals. The LGBT community is not advised to travel to Sudan as the local conservative laws are harsh, resulting in arrests and attacks by police and vigilantes. Taking photos of military installations, airports and government buildings is strictly forbidden.